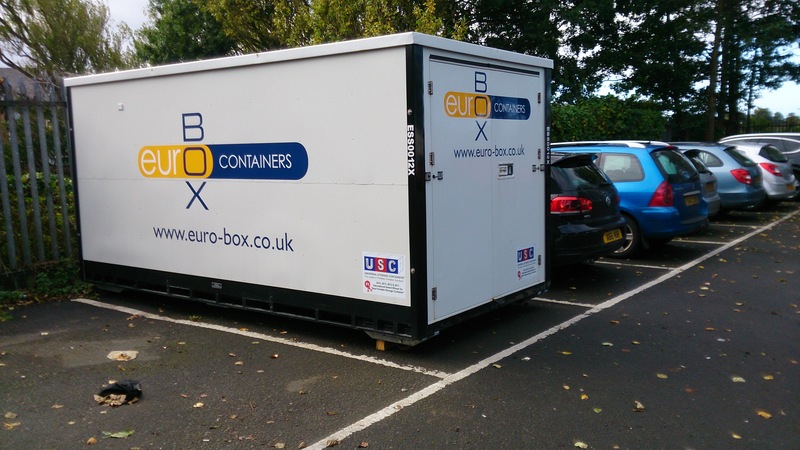 Introducing the all New Mobile Storage Containers from Eurobox…. 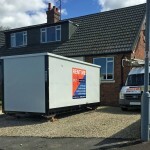 You load it…We move it! Just load your belongings into the container. 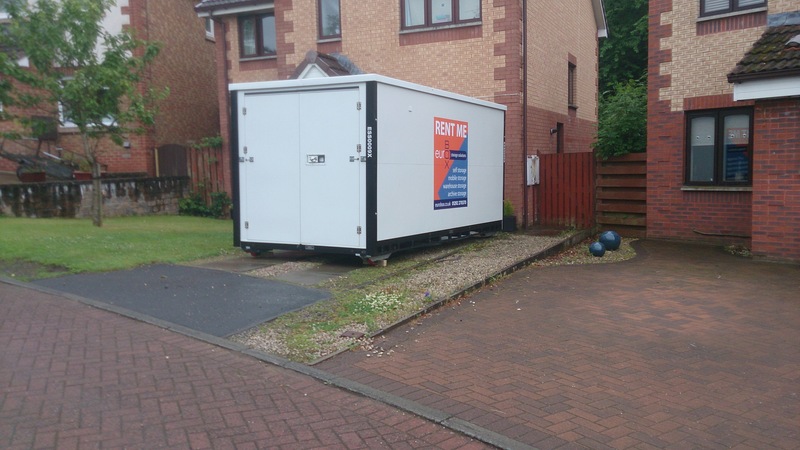 We’ll move it to your new location when you’re ready, then call us to pick it up when it’s empty. You tell us where and when you need it! Sturdy, waterproof containers at ground level for easy access. 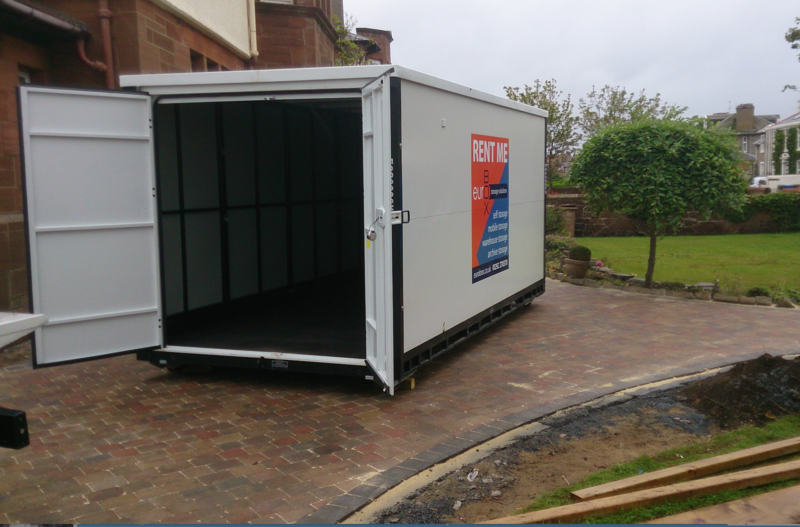 Our Mobile storage is proving to be very popular the versatility really is outstanding. 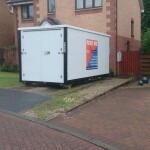 A few pictures of our Mobile Storage units out at work in and around Ayrshire. 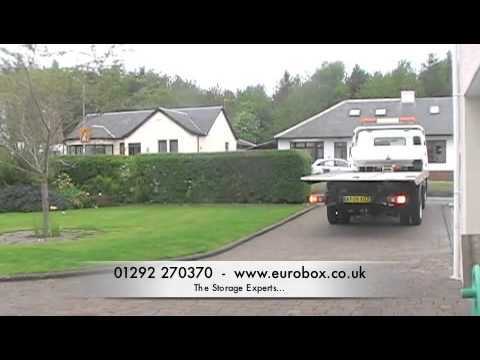 'Store at your Door' Mobile Storage Mobile Storage available now from Eurobox. 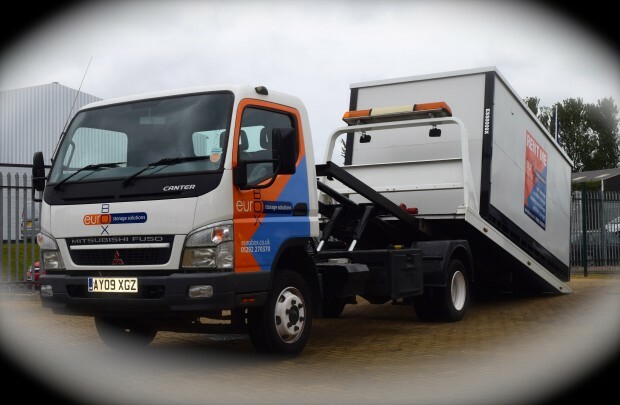 Call us on 01292 270370 for more information. This is by far the best way to protect your valuables without sending away to storage while having work done in your home. 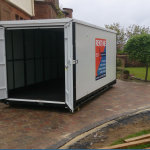 I would recommend ‘store at your door’ mobile storage, the service was excellent everything from initial contact, price, delivery and collection. 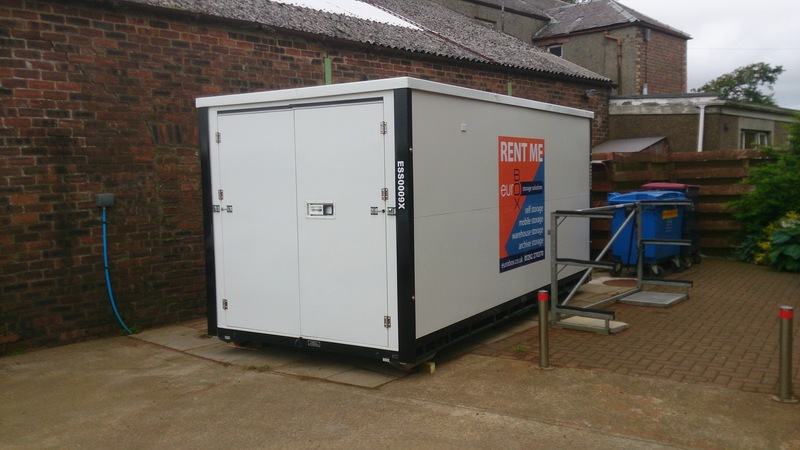 We are a local building company who work all over Ayrshire, we needed a solution to our storage problems for our workers who were “on-site”. 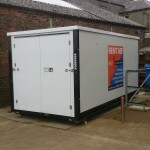 We approached Euro Box who suggested the containers they use, we found this to be an ideal solution. 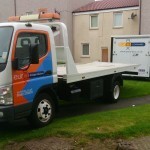 It allowed our tools etc to be stored safely and securely. 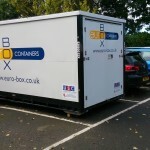 We find Euro Box as a company very flexible and easy to approach when it comes to storage solutions.